Sociedad Estatal de Correos y Telégrafos, S.A., popularly known as Correos, is the national postal service of Spain. With 63,000 employees and 5.4 billion pieces of mail sent each year, Correos is one of the largest postal services in the world. Based in Madrid, it has over 10,000 postal centres all over Spain. Correos has covered the whole of Spanish territory every day in public service for more than 300 years. In 1850, the first postage stamp appeared in Spain, bearing the image of Queen Isabella II. This had two important consequences. On one hand the cost of deliveries was reduced as the service was paid for by the sender rather than the person receiving the correspondence and on the other, the number of deliveries increased considerably. That year 18,500,000 deliveries were made. In 1889 the Cuerpo de Correos (the Postal Workforce) was created in Spain. From then on the presence of postmen increased in more and more towns and Correos started to become an indispensable element for the unity and structure of Spain. Spanish wines are wines produced in the southwestern European country of Spain. Located on the Iberian Peninsula, Spain has over 2.9 million acres (over 1.17 million hectares) planted—making it the most widely planted wine producing nation but it is the third largest producer of wine in the world, the largest being France followed by Italy.This is due, in part, to the very low yields and wide spacing of the old vines planted on the dry, infertile soil found in many Spanish wine regions. The country is ninth in worldwide consumptions with Spaniards drinking, on average, 10.06 gallons (38 liters) a year. The country has an abundance of native grape varieties, with over 400 varieties planted throughout Spain though 80 percent of the country’s wine production is from only 20 grapes—including Tempranillo, Albariño, Garnacha, Palomino, Airen, Macabeo, Parellada, Xarel·lo, Cariñena and Monastrell. When december comes, everyone rejoice in Spain. Because, yes, it’s colder, but not that cold… and december means that festive days are coming. The first festivity in Spain is “el día de la Constitución”.It recalls a referendum that was held in Spain on 6 December 1978 to decide on the adoption of a new constitution. The result was overwhelming support for the new constitution, with more than 88% voting in favour. This constitution lasts until today. The second festivity in December is the immaculate conception. Since 1664 Spain celebrates this christian tradition. was a Spanish Catalan architect and figurehead of Catalan Modernism. Gaudí’s works reflect his highly individual and distinctive style andare largely concentrated in the Catalan capital of Barcelona, notably his magnum opus, the Sagrada Família (Holy Familiy). Much of Gaudí’s work was marked by his four life passions: architecture, nature, religion and love for Catalonia. Gaudí studied every detail of his creations, integrating into his architecture a series of crafts in which he was skilled: ceramics, stained glass, wrought ironwork forgingand carpentry. Gaudí’s work enjoys widespread international appeal and many studies are devoted to understanding his architecture. Today, his work finds admirers among architects and the general public alike. 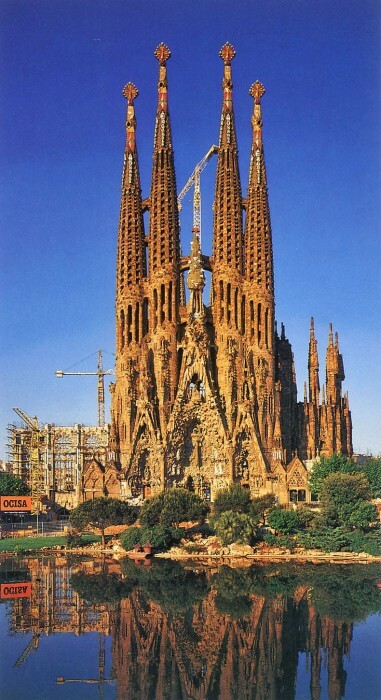 His masterpiece, the still-uncompleted Sagrada Família, is one of the most visited monuments in Spain. Between 1984 and 2005, seven of his works were declared World Heritage Sites by UNESCO. Gaudí’s Roman Catholic faith intensified during his life and religious images permeate his work. This earned him the nickname “God’s Architect” and led to calls for his beatification. The 100 km² park, located at the mouth of the Guadalete river, consists of marshland, beaches, reed and sand dunes. It has many types of shrubs and bushes, and ocean pine. The tourists in countries like Spain, a typical touristic destination, have been shot in the foot for years with the kind of prices we have for roaming. It is wrong when you see people turning off the roaming at the airport before leaving the country, they would like to continue using their phones, tablets, PCs but they will not do so if prices are this disproportionately high. There is a great article in PC Pro, “40GB of data Costs the Same as a house” showing that the 40GB of data that typically is included in most of the home connectivity packages in Europe (unlimited broadband connection) can reach the cost of a luxury yacht or a house with three bedrooms if we download this same amount of data abroad with operators like Virgin Mobile or O2 for the UK costumers (anyhow for Germans, French, Americans or Japanese Roaming cost is quite similar). 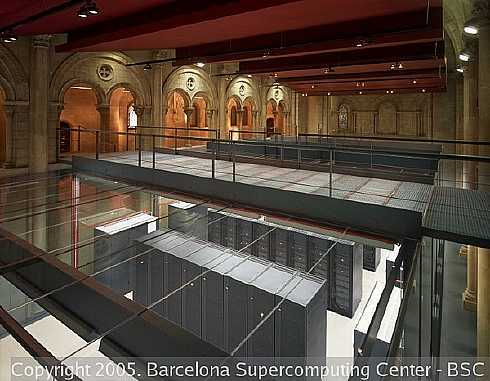 Spain is well know for the sun, the happiness and the fiesta but here we also make some interesting HI-tech stuff, the Barcelona Supercomputer Center is building a supercomputer with mobile chips, the big problem of those supercomputers are the energy consumption and the generated heat, the Barcelona Supercomputer Center is solving this problem using the ARM low-power chip architecture that powers most of the smartphones and tablets that we use everyday. Places To Go When It’s Raining In Spain. When you travel to some north-europe cities, you expect to see them raining. Like London–in London, rain is a familiar friend (or enemy). That doesn’t happen in Spain. In Spain, it’s not supposed to be raining! So…what should you do when the rain comes in your way? Option 1. Go to “El Prado“, Madrid. 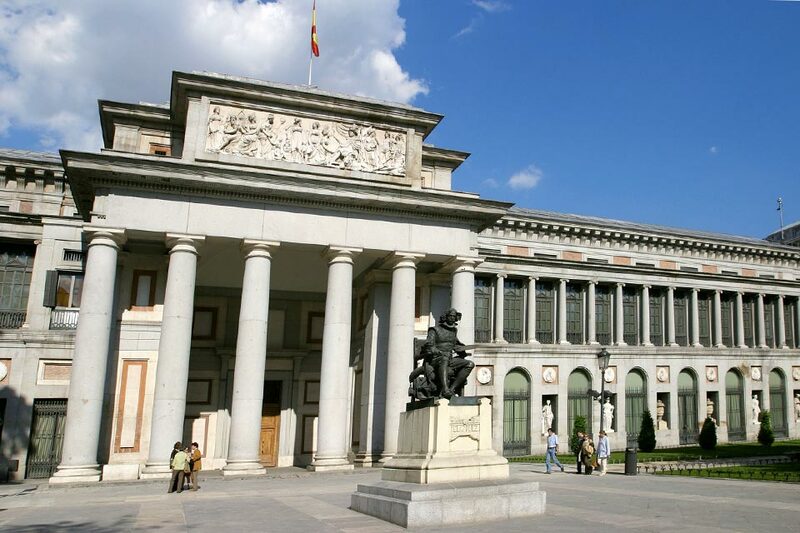 El Prado is the 9th most visited museum in the world. It is in Madrid and it’s so big, you can actually spend the whole day inside the museum. Closed on Mondays and free every day from 6pm till 8pm. Otherwise it’s 12EUR. Check for more (maybe on the way) on the Museum’s site. Option 2. Go to Maremagnum, Barcelona. And take a hot coffee while the rain pours into the sea. Or maybe go to the Sagrada Familia’s Starbucks and watch the tourists get wet while you are warm and fuzzy drinking coffee. This blog is meant to entertain people whose interests are travelling to Spain, internet and technologies. Be welcome!